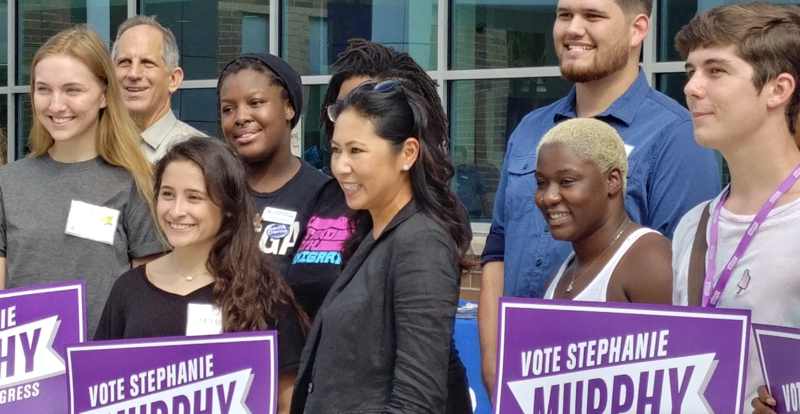 More than a dozen candidates running for office in Seminole County, including the opponents for U.S. Congress District 7, addressed Seminole State students, staff and faculty at a catered event Oct. 24 sponsored by the college’s student Law Club. 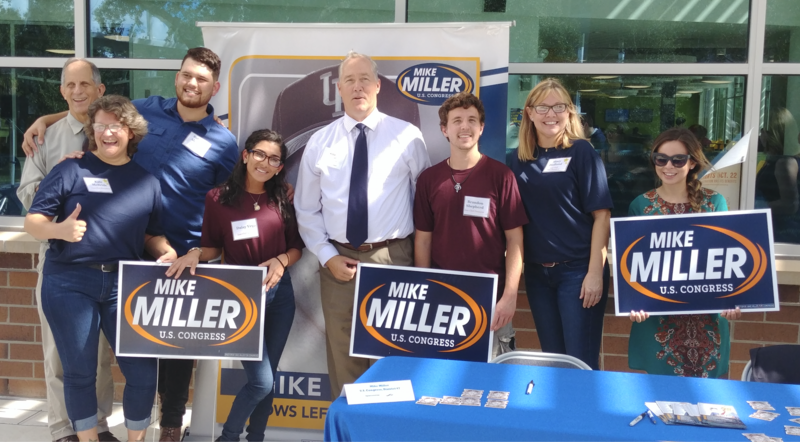 The local politicians and their campaign staff members occupied tables in front of the Student Center on the Sanford/Lake Mary campus. Candidates ranged from those running for Soil & Water District 5 to Republican Mike Miller vying for U.S. Congress District 7 against Democrat incumbent Stephanie Murphy. Afterward, Law Club president Kate McBride thanked her vice president Stacy Holland-Gross and other members of the club for their help. She said the event may become a biennial event, maybe coinciding with the next presidential election. She said she would graduate by then, but hopes the Law Club will continue. She also said the event was very important to her and Holland-Gross. 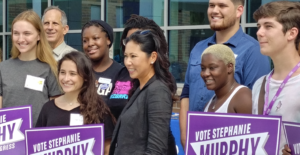 “We are a little older than the normal students that attend Seminole State College and we know that through experience, most young adults have no idea what the position that someone is running for or even what the candidate’s platform is,” she explained. For those interested, she said the Law Club holds public forum type meetings that discuss current topics. The club meets every other week on Mondays at 4:15 to 5:15 in Room V-105 on the Sanford/Lake Mary campus.